It has been announced that Shotaro Ishinomori's classic design, Sea Jetter Kaito (不滅のヒーロー) will have his very own live action film that will be shown in Ishinomori Manga Museum, starting from March 23rd, starring Yuki Satoh (Kamen Rider Kabuto). The rough sketch of Sea Jetter Kaito is intended to be called Iron Devil Shadol (Tetsu Majin Shadoru). 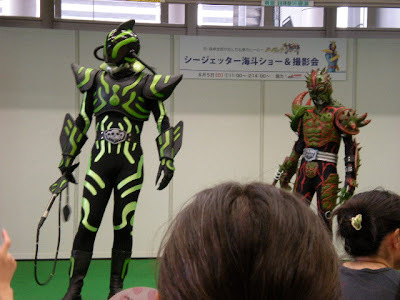 It was later scrapped and remade into Chojin Bashan for the 70's tokusatsu series Chojin Bibyun. 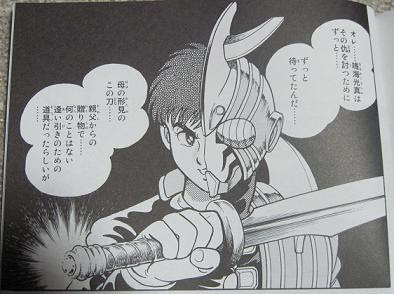 The Ishinomori Manga Museum then a suit out of the scrapped design in 2004, and called it Sea Jetter Kaito. It then became the regional hero of Miyagi Prefecture. The theme song, “Sea Jetter Kaito”, will be sung by Masaki Endou. The film will also features songs such as “The Immortal Hero Sea Jetter Kaito” by Hironobu Kageyama, Masaki Endou and Hiroshi Kitadani, and “Fight!! Sea Jetter Kaito” by Ichiro Mizuki. The film will be produced by names prominent in TOEI tokusatsu — Jun Hikasa (Kamen Rider Blade, Hikonin Sentai Akibaranger) and Naomi Takebe (Kamen Rider OOO, Tokumei Sentai Go-Busters). Directed by Hidenori Ishida (Kamen Rider Kuuga), with screenplay by Riku Sanjo (Kamen Rider W, Zyuden Sentai Kyoryuger), Sea Jetter Kaito premieres March 23rd at Ishinomori Manga Museum. 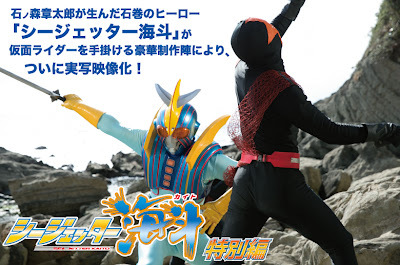 With the upcoming Sea Jetter Kaito movie to be released this March 23rd, more updates about the said movie has surfaced online! The updates for the movie include about the characters and its possible DVD release. 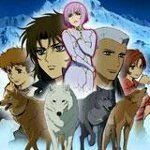 Before talking about the DVD release, let's talk about the characters. 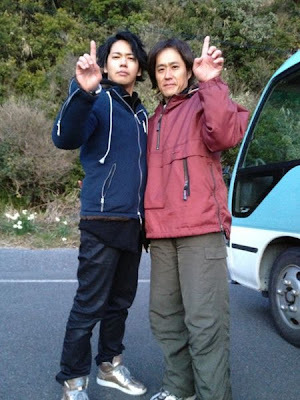 Kamen Rider suit actor Seiji Takaiwa will play the role of Koushin Narumi aka Sea Jetter Kaito. This is his second official face hero role, the first being Julio Ramirez aka B-Fighter Genji. Shozo Iizuka (Hakaider) and Masaki Terasoma (Shadow Moon) will voice the villains Crababyssis and Pharynx in the said movie. Lastly, Yuki Sato's (Kamen Rider Gattack) role in the movie is still unknown as of this writing. About the DVD release, it will probably never get a DVD release. To sum up the possible reason, this movie just wants to show us that Ishinomaki is doing fine after the 2011 tsunami. Lastly, the movie is only 15 minutes long.